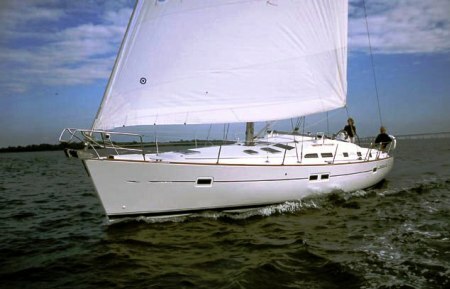 The premier model Beneteau 423 Mediterranean bareboat sailing yacht is a superb blend of easy sailing and elegant comfort. This charter yacht is available in Turkey, Greece, Croatia and Palma. 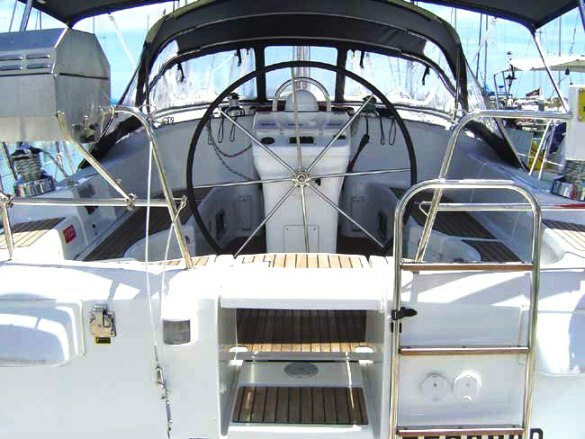 The Beneteau 423 has a sporty feel and is incredibly responsive at the helm. 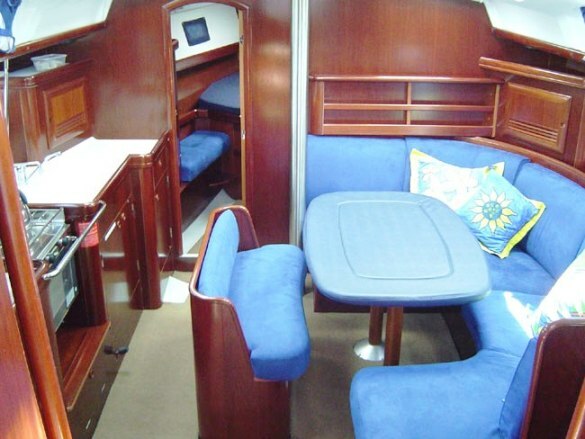 This yacht is incredibly spacious for a 43-footer yet it still sails well. 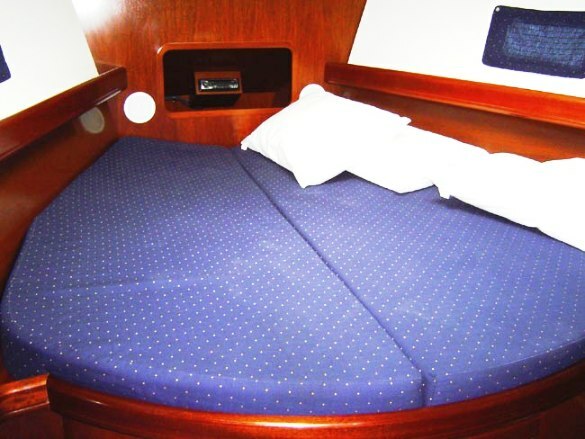 The interior design offers comfortable accommodations, spacious salon and cockpit, sufficient systems and is equipped with a long list of standard features that are not present in many other boat of this size. 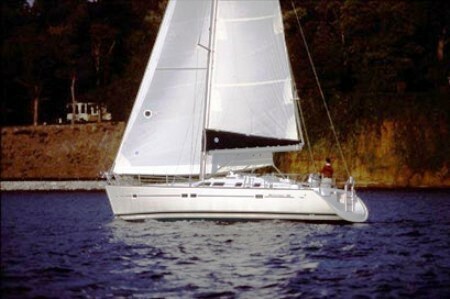 The Beneteau Oceanis 423 is pure easy sailing. The Beneteau 423 Mediterranean bareboat sailing yacht is designed for absolute comfort with three double cabins and three heads. The forward double has its own ensuite with an oversized stand alone shower. 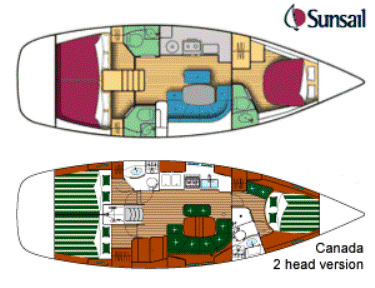 The two double aft cabins also have private heads. The salon settee comfortably folds down to create an additional double berth. Ideally, we recommend a maximum of six guests for a comfortable charter. The Beneteau Oceanis 423 has a classic slab main and furling genoa, roller reefing, one wheel steering, GPS, VHF, depth sounder, wind instruments and an electric anchor winch. There is a bimini, aft swimming platform and ladder, an ondeck shower and BBQ, dinghy with outboard. For entertainment, there is a radio & CD player with inside/outside speakers, fully equipped galley with LPG stove & oven, fridge/freezer. The boat is equipped with cruising guides and charts.